(Arvada, CO) – At its June 4 meeting, the Arvada City Council unanimously approved an agreement with Golden Triangle Construction, Inc. to build the Arvada Police Department’s latest community station. Today, June 25, members of City Council and staff broke ground on the new Whisper Creek Community Station! Located at 14360 W. 89th Dr., Whisper Creek Community Station will open in April of 2019, enhancing our department's ability to respond quickly on the west side of our community. Completion of the Whisper Creek Community Station is associated with the Arvada Police Department’s Sector Based Policing philosophy. Under this model, Arvada police officers are assigned to, and responsible for, specific areas of the City. This type of deployment results in a higher quality of police service because officers are intimately familiar with their assigned sectors and with the citizens who live there. 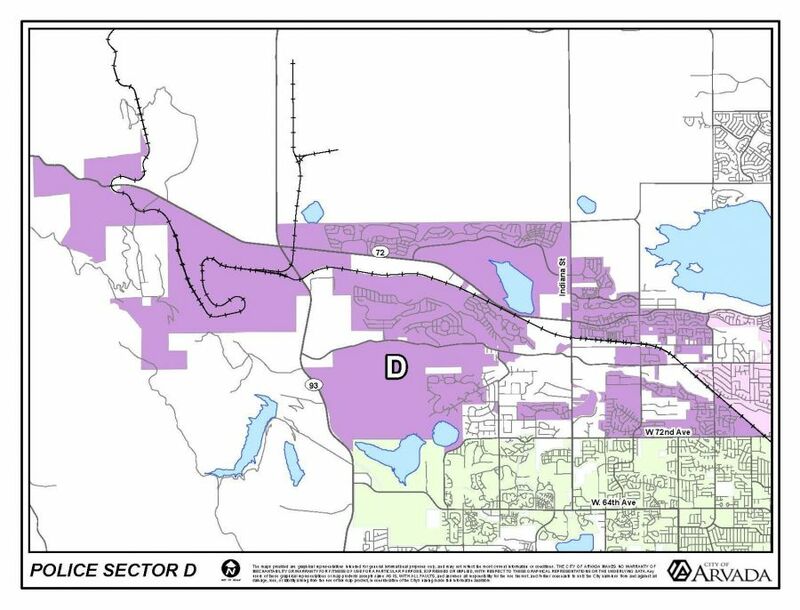 Arvada currently has four sectors operating out of three locations: Lake Arbor serving Adams Sector, headquarters at Arvada City Hall serving Baker Sector, and West Woods serving both Charlie and Delta Sectors. The Delta Sector will move to the Whisper Creek community station upon completion of construction. The new station is designed by Barker, Rinker, Seacat Architects and will utilize a similar layout and materials as the West Woods and Lake Arbor substations. Construction costs are $4,260,190. View map of the Delta Sector below.